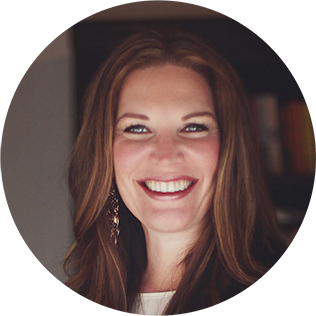 Jen Hatmaker - Legacy Project 2013: Backpacks of Hope! Legacy Project 2013: Backpacks of Hope! I do not even know how to handle this beautiful school. THANK YOU. 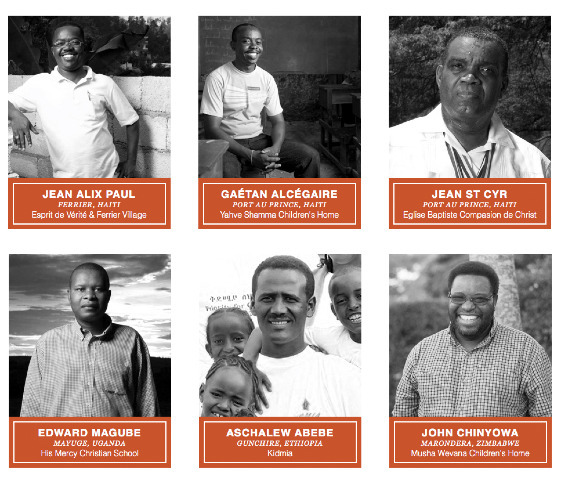 This year’s campaign is simple: raise $100,000 to empower and resource six amazing leaders in Uganda, Zimbabwe, Ethiopia and Haiti. (WE HAVE A NEW INITIATIVE IN ETHIOPIA. SQUEEEE!!!) Each leader has different needs for their community, so when this Project is completed, we will have funded everything from a community preschool and kindergarten to a computer lab to a year’s salary for several teachers and more. The mission of Help has always included partnering with local leaders and pastors as point people on the ground, and in one fell swoop, they are all supported with Legacy 2013. I die. These men are heroes, like I JUST CANNOT EVEN TELL YOU. The goal is to sell 1,000 virtual “backpacks” for $100 each. No, Help One Now has not branched out into luggage. 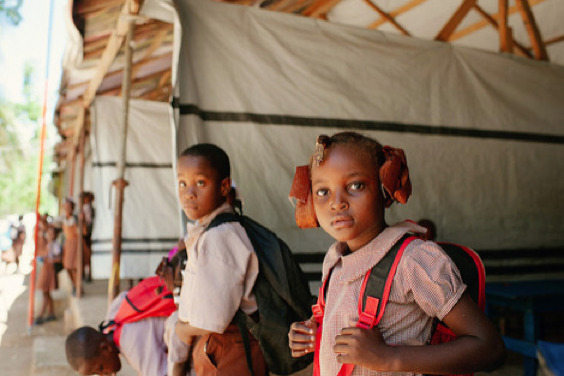 Rather, they're investing in what the backpack represents: Education. Opportunity. HOPE. Every morning, children across the globe gather their school things, the tools they use to learn and grow, and stuff them into a backpack on their way to school (and if they live in my house, it also sounds like where is my backpack?! and did you put that thing in your backpack?? and who took my backpack?? and other things that delight me every morning as a mother). Those tools help give these students their education, which in turn provides opportunity and ultimately leads to HOPE for their future. Backpacks of Hope will provide unique tools for each of the six leaders. For example, Pastor Gaétan hopes to open a computer lab and a library. Pastor Jean-Alix will open a preschool and kindergarten in Ferrier, allowing older children to attend school rather than caring for their younger siblings (just, ohmygosh), as well as allowing the younger children to start their education early. Pastor John in Zimbabwe will construct a playground and a study room and expand his kitchen to serve even more children in his region. Help One Now will once again utilize Pure Charity’s online giving platform for this project. Those of you who jumped in last year already have an account! (Need to get caught up to speed on the awesomeness that is Pure Charity? I wrote aaaaall about it last year.) So for this year, I've started a campaign HERE to fund 100 backpacks, and I need you to help meet this goal LIKE A BOSS. Surely, surely 100 of us can give $100, right?? And don't forget, Pure Charity offers a way to fund the project using the most common activity of the holiday season -- shopping! For instance, it is December 12th and I've bought exactly zero presents, so guess whose Pure Charity account is about to get a serious boost? The interwebs will send me the gifts and siphon $$ into my PC account, because this is the beautiful world we live in these days. Amen. Sign up and shop away! Purchases will automatically be added to your Pure Charity giving account, which you can then DONATE to this campaign -- or, you can even START YOUR OWN campaign and rally your friends and family to join the madness. We need your help to make this project a success. Spread the word. Tell your friends, family, co-workers, church, small group, and social media channels what we’re doing and how they can help. Pull your kids up around your laptop and show them the pastors and videos, and make this your family project this Christmas. However you help, please know this: your support will change the lives of students in Haiti, Uganda, Zimbabwe and Ethiopia! We'll all be investing in HOPE. I am going to watch that goal line creep up like the craziest stalker you've ever seen. Very awesome! The founder of Starfysh, a ministry dedicated to the people of LaGonave, Haiti goes to my church. Our church has adopted a village on that island and have groups that go over there all the time. We built a school last year there and last Christmas many of our church family sent backpacks to the kids for that school. It's so cool to see things happening there! Thank you for all you do! Was looking for a gift for my dad for Christmas and I think I just found it! Thanks dollface! Done. Thanks for giving this opportunity. Our hearts ache for Haiti. LOVE! Great job, Jen! Love it and love you! Fun fact: The ACTUAL backpacks used in this video are OAK (Ordinary Acts of Kindness) backpacks, from my sister Jessica's backpack company. For each backpack you buy, they provide a backpack for at-risk or homeless youth. Oaklifestyle.com So, after you fund a virtual 'backpack' for Help One Now, pick up an OAK backpack online, too! Yes! Love HelpOneNow and the work that Chris Marlow is doing. Grateful for your partnership with them to simply do good. YEY! This is so cool! Thank you for spreading the word so people like me can hear about it!!! 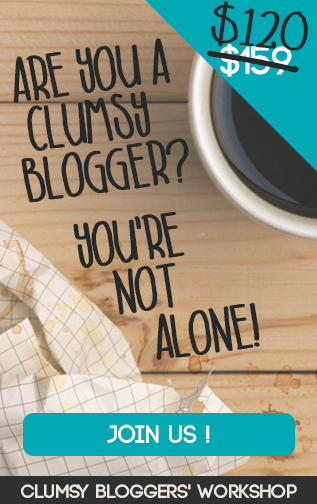 Just came on over to see if you had written a new blog and saw this. So very cool and how amazing that your goal has been met! Praise dance!!!! Can't wait to see you at IF: Austin! This movie sheds light on the potential future for us in the new age, golden age, Millennial Kingdom. The author, searching to answer the question how we can thrive on planet earth, uncovers free energy solutions (informed by the design of nature and ETs), then exposes the current age's agenda to suppress them and keep us from the blessings of the next age. The film concludes with a call to action to push through to a future of blessing. Personally, I signed up for some of the "critical mass actions" you'll hear about if you watch this. Trust me: You want to be my Email Friend. You get stuff. I've already said too much. First Come, First Serve: Join the "For the Love" Launch Team! Be mine. Plus get four bonus essays. Win/win. Relational Repair for "The Difficult"
"Are You Taking My Message?" And Finally I Give You..."Interrupted"
An Exclusive Interview with...Celebrity Pastor!! The Duck Thing: Is There Another Way? I am inept. Thank you for understanding. Will You Take a Trip With Me?